We know that children live very adventurous lives, but sometimes adventure can lead to trauma. Common childhood traumas can come through everyday things like crawling, learning to walk, playing sports, wrestling siblings, riding a bike, climbing a tree or even the birthing process. At our practice, we work to make sure those traumas, no matter how big or small, are not impeding your children to live to their full potential. 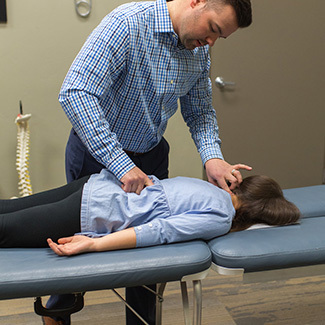 We’re proud to offer care for even the littlest member of your family, knowing that a gentle and specific adjustment can help restore their health. Our pediatric new patient process is quite similar to an adult visit with just a few differences. For newborns, we’ll complete just one neuro-functional exam as opposed to three. 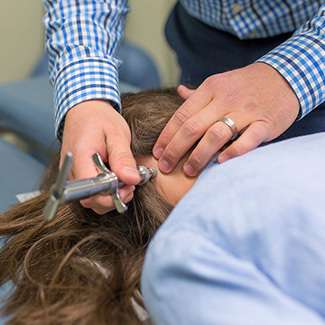 During your first appointment, you’ll meet Dr. Wade for an extensive consultation. Depending on the age of your child, we may or may not recommend x-rays. Dr. Wade will gather all of the information needed to make the best assessment of your child’s health and how we can help. On the second visit, we’ll review our findings with you and share our insight on what will best help your child. If you’d like to begin care, we can do so on this very visit. Adjustments for children are always gentle, focused and effective. We’re happy to show you the exact amount of light pressure used to help you feel more comfortable. 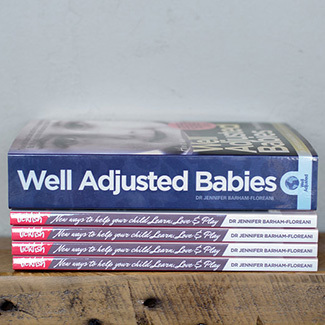 Many children love visiting us and don’t even know they’re being adjusted! 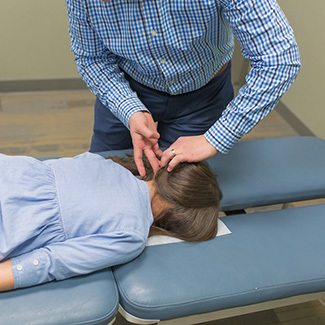 Many childhood complaints can be addressed with chiropractic care, including ear infections, colic, sleep problems, immune system function, acid reflux, bed wetting, behavior issues and asthma. When can a child begin chiropractic care? Babies can begin chiropractic care at just minutes old. The majority of parents find our office within the first month of their child’s life. Do you adjust children differently than adults? Newborns to age three receive more of a hands on gentle contact adjustment. 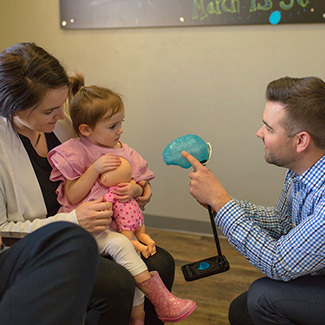 Children age four and older receive the Torque Release Technique. 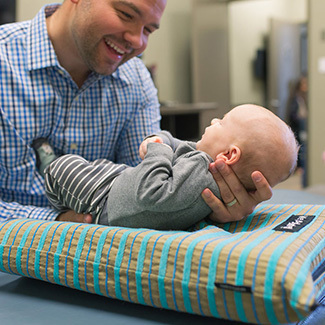 Do you recommend that parents or the child prepare in any way for their first pediatric chiropractic visit? Once an appointment has been set up, we can either email or mail all pediatric paperwork for a parent or guardian to fill out. Please come 15 minutes prior to the appointment if you are unable to fill the paperwork out in advanced. We’d love to meet your family and discuss how we can help you achieve your goals in health. To get started, contact our practice today to book your visit. We look forward to working with you!